Late 19th Century life was much different then today. Work was hard and laborious and typically extended from sunrise to sunset. There was little time for recreational activities and most of the modern luxuries, that we take for granted today, did not exist. Fitness, as a lifestyle, was not even recognized by mainstream America until the 20th century. For many, life during this time was limited to completing chores and surviving the elements. One such element that many people faced in the late-1880s was sickness due to infectious diseases. Mortality rates from measles, scarlet fever, typhoid, whooping cough, diphtheria and other diseases were very high during this time and most medicines used to prevent and cure these diseases were not yet available. Many people were thrilled to reach the ripe “old age” of 50. During this Era the American public knew little about the health promoting and disease preventing benefits of living The Fitness Lifestyle. The fitness pioneers of this Era definitely had a tough task in preaching the benefits that could be derived by living The Fitness Lifestyle. 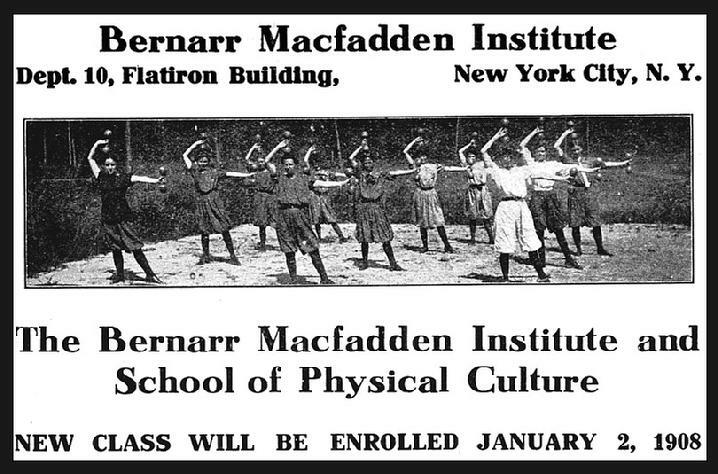 However these “Physical Culturists,” as they were called, had great passion and resolve and devoted their life in helping to educate the public about fitness. 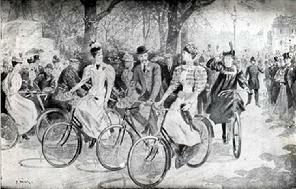 The primary focus of the 1880’s, with relation to fitness, was promoting Good Health. As previously mentioned, disease affected the lives of many Americans and health promoting products and curative medicines were sorely in need. Enter W.T. Rawleigh! (1870-1952). Perhaps the most famous producer of quality health products, W.T. Rawleigh in 1889 set out to help the American public, “Get Well and Stay Well.” At the age of 18, having just $15, a borrowed horse, a mortgaged buggy and four types of medicines, Rawleigh set out from his boyhood home in Wisconsin and started selling his products. Rawleigh recalls, “I was young and as green as a cucumber and the only business experience I had was in making inks and selling a few books.” Anxious but determined, Rawleigh made his first sale of liniment and salve at a little farm house in Illinois. By 1914 the W.T. Rawleigh Company was recognized as one of the greatest manufacturers and distributors of over 100 health and household products. W.T. Rawleigh was one of the first persons to use direct-to-customers method of selling and offer a time and trial system, which was the forerunner of the “Satisfaction Guaranteed” policy. Today the Rawleigh’s Healthcare Company continues to produce quality home medicines, specialty foods, household products, personal care products and animal products.